Want to apply for a job at Tom Thumb? If you do, you may have to go to the Tom Thumb careers page at careersatsafeway.com to get your online application started. Click the "Apply Now" box and you will be given a list of departments including retail, pharmacy, home delivery, distribution, manufacturing, transportation, corporate and college. Choose and click a job category under the department that you want to work at to go further. Here "Store Positions" under Retail department is chosen as an example. Tom Thumb is so considerate that it lists some policies and instructions about online application. Browse this page and you will find that there are three major sections to apply for a job at Tom Thumb. Then provide your age in this step and click "Continue" to move on. You are asked to search for job vacancies by entering keywords, zip code, state or city in the search bar and choosing the hiring status. 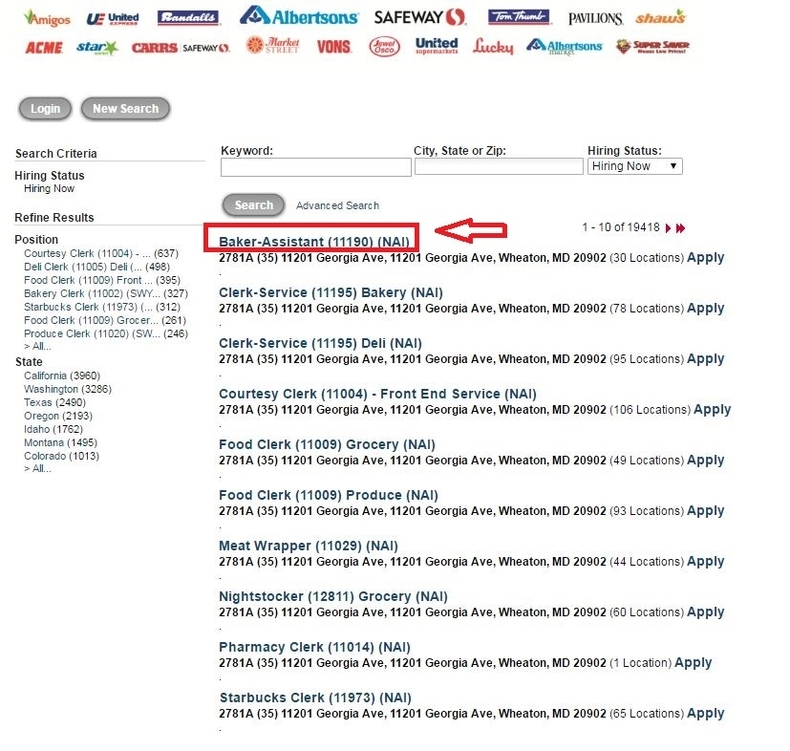 Then click the button "Search" to see available jobs at Tom Thumb. All the positions that meet your search requirements will be listed in this step. Choose one ideal position in accordance with your interests and qualifications by simply clicking the position title to go to the fifth step. After you clicking the position, a job description page will pop up in a new window. Browse the job description page and click the button "Apply" if you make up your mind to apply for it. You are asked to choose one or more locations in this step, after which you can go on with your application by clicking the button "Next". A new user account is necessary for any online job application. You are required to created your own Tom Thumb user account in this step. 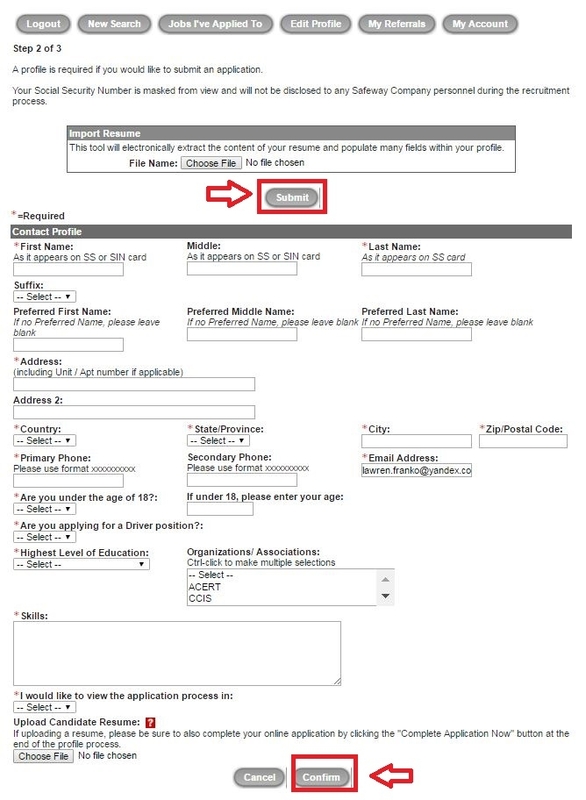 Fill out your email address, SSN and password and specify how did you hear about the company, and then click "Submit" to get your account built. But if you are a returning user, you may login directly by entering the necessary information. To help you verify your identity if you forget your password, you need to choose three questions for the selection bar and set your unique answers in this step. Here questions include "In what city did you grow up? ", "What's your mother's maiden name?" and "What's the name of your first girlfriend/boyfriend? ", etc. You are asked to upload your recent resume at first. 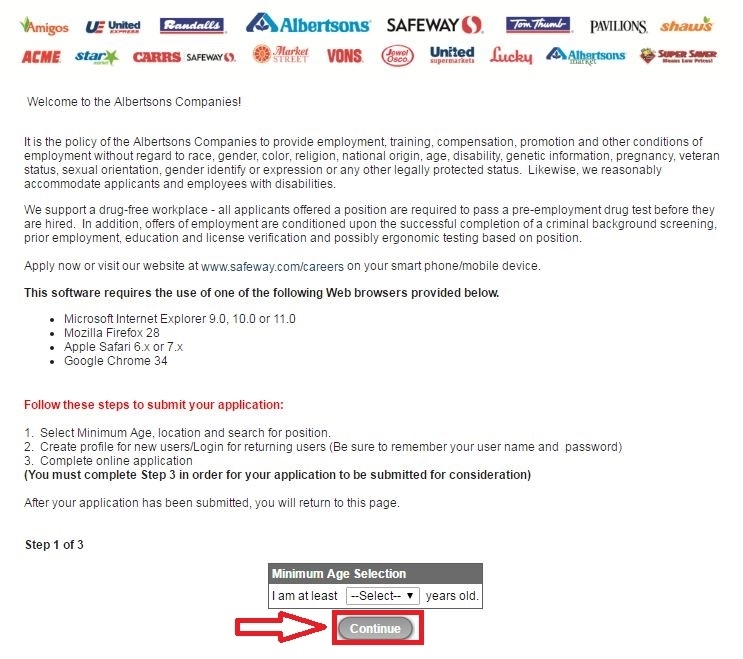 Choose a file from your computer or mobile phone and click "Submit" to get your resume attached. 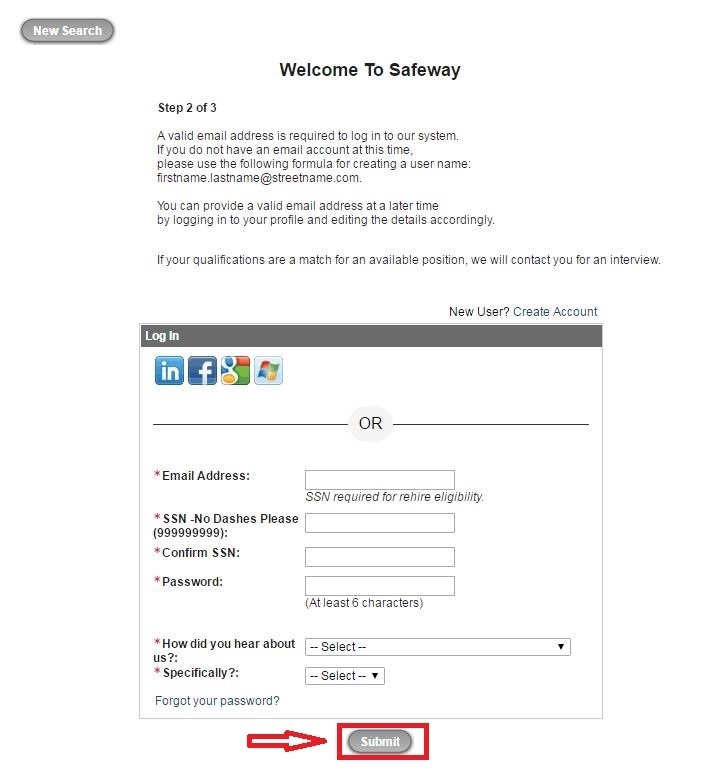 Then fill out all the mandatory fields shown in the picture below and click "Confirm" to go on. With the nine steps are done, you'll come to a confirmation page on which all the information you provided are listed. 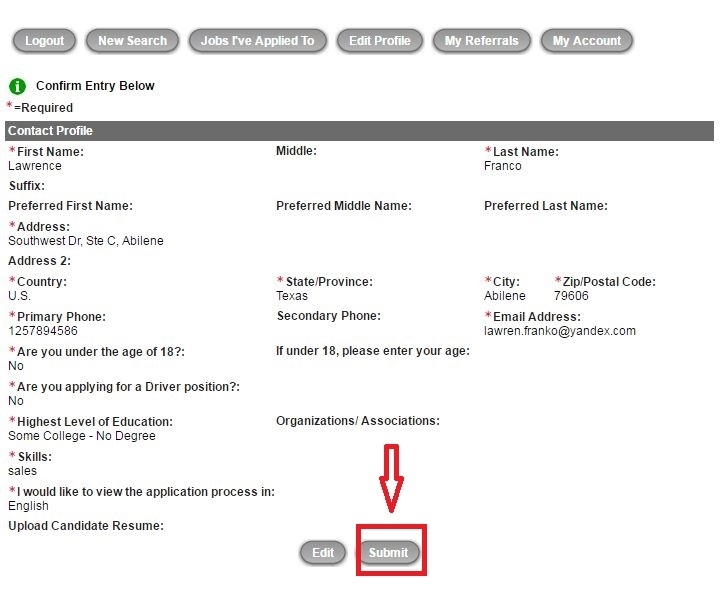 Browse this page to check these information and click "Submit" to get your online application process totally completed. 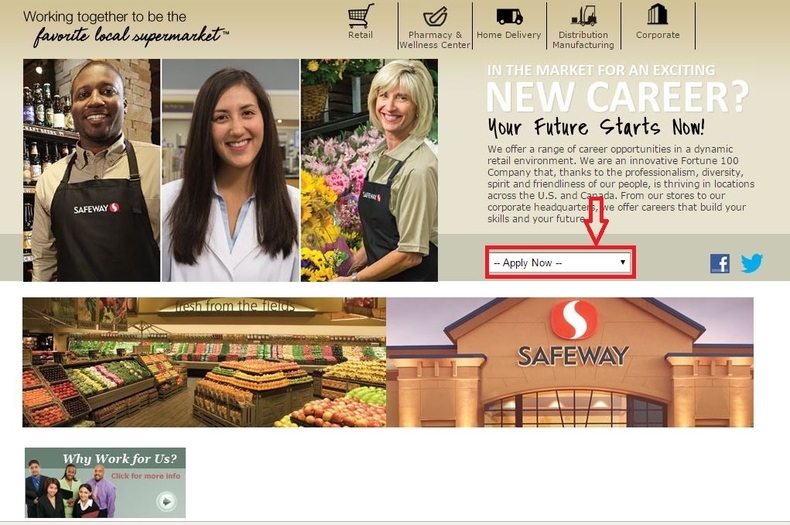 Click careersatsafeway.com to apply for Tom Thumb jobs online.